Shortly before Christmas, I received an email from Zappos about a new program they were offering. 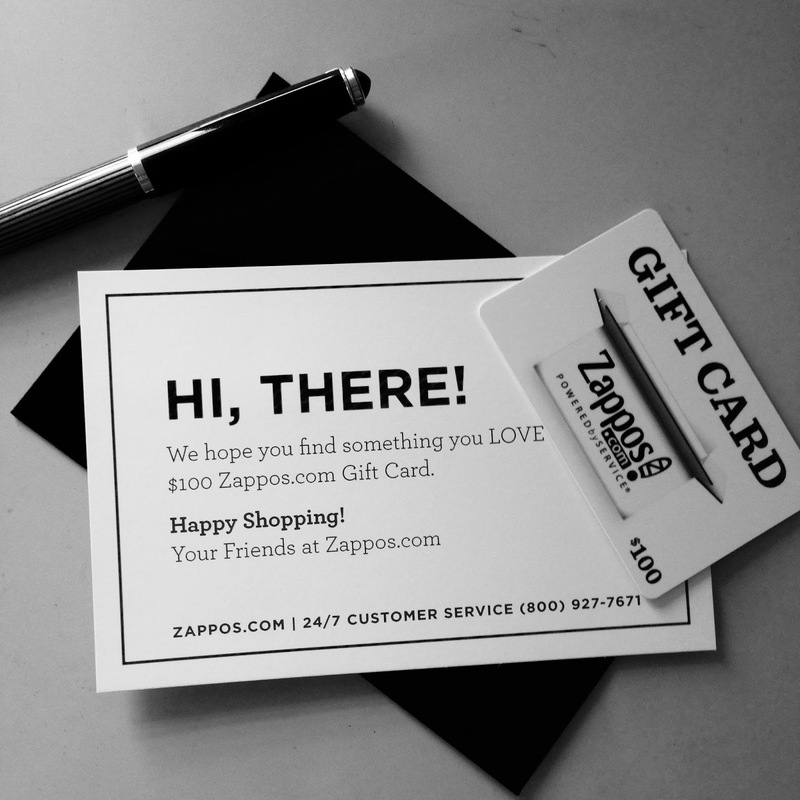 It is called Zappos Happy Returns. The first 500 callers to contact them the day after Christmas would receive a $100 gift certificate if you agreed to send them an unwanted gift you received for Christmas. They will donate all of the items received. I set my alarm clock for 5:50AM HST so I would be awake in plenty of time to dial my phone at 6AM (8AM Las Vegas time, where Zappos is located). I managed to be one of the lucky callers and Zappos emailed me a UPS label to use to send in my gift. That's right, I didn't even have to pay postage for the item I was sending them. Today, UPS dropped off a shoe-sized box with my gift certificate inside. Also received from Zappos in an email was a 20% off code, which means I can now shop for a $125 pair of shoes absolutely free. How amazing is that?